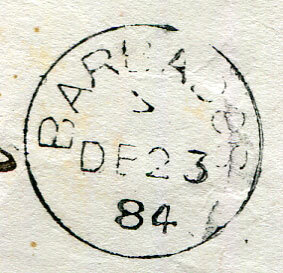 1931 reg. 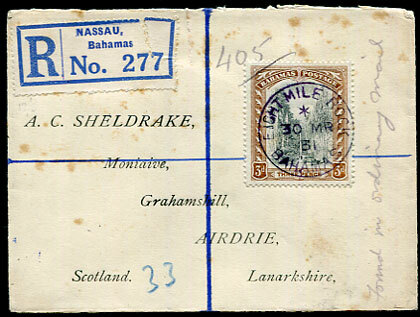 A.C. Sheldrake cover to Lanarkshire with 3d Staircase pmk'd purplish-black EIGHT MILE ROCK (T.5) cds dated */30 MR 31, overall tone-spotting. 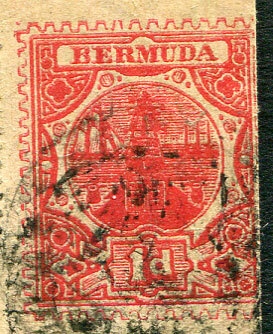 Size only 50 x 30 metres. 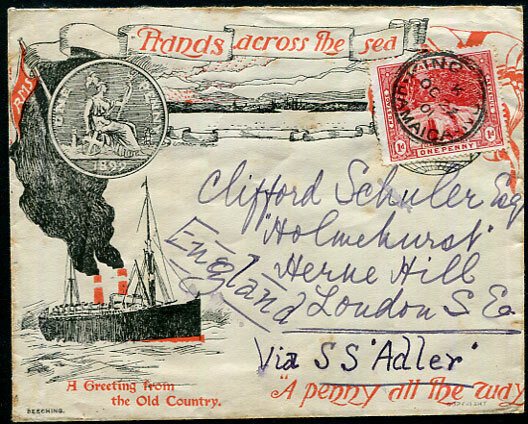 Beeching "Hands across the sea" illustrated envelope for Christmas 1898 introduction of the Empire 1d rate with 1d Falls pmk'd Kingston K/OC 22 01 d/ring marked via "S.S. "Adler" to Herne Hill, London, backstamped NO 7 01 arrival. 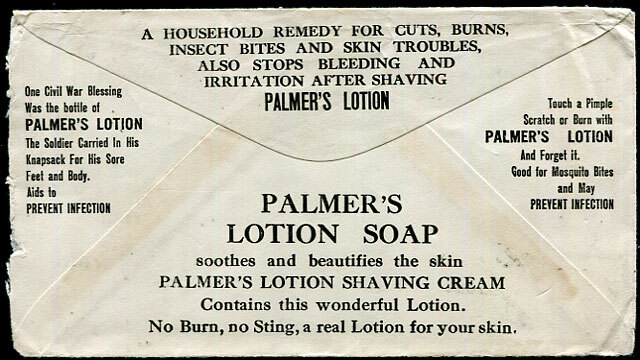 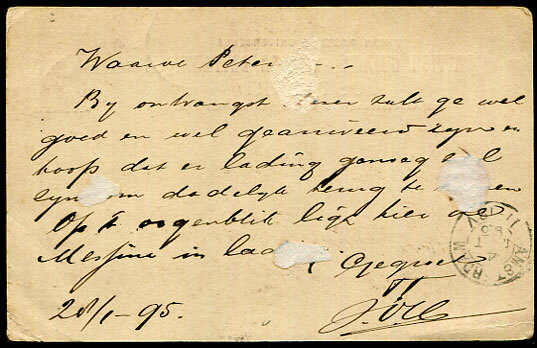 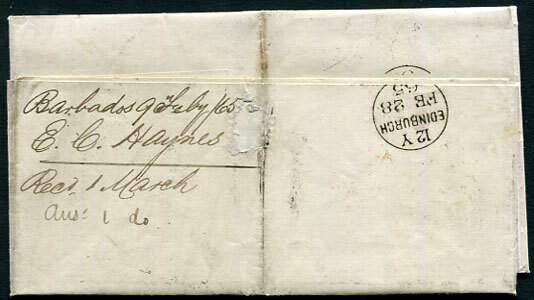 1884 O.C.S. 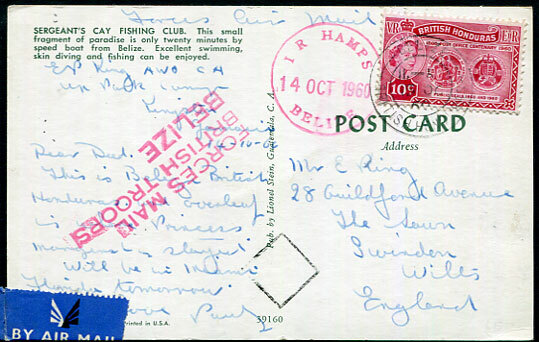 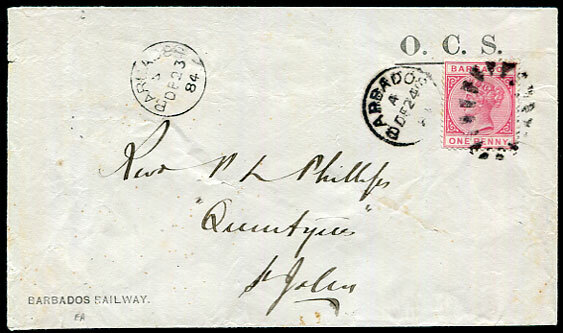 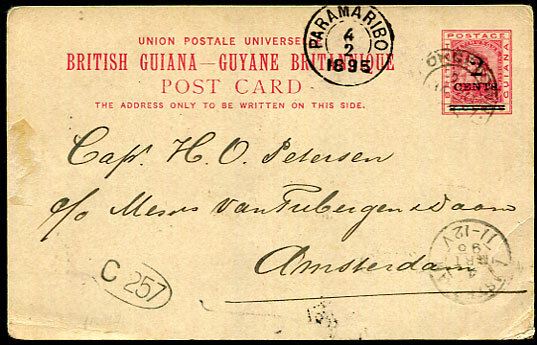 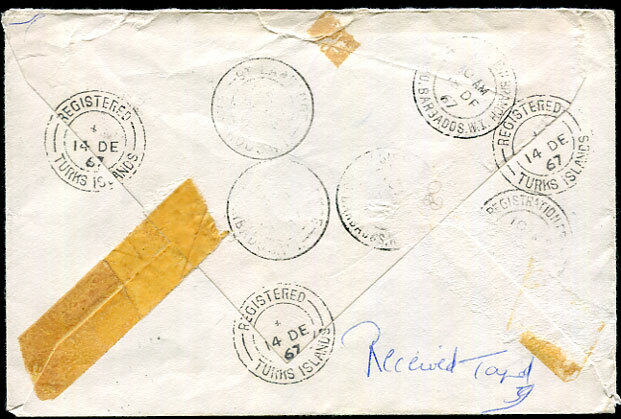 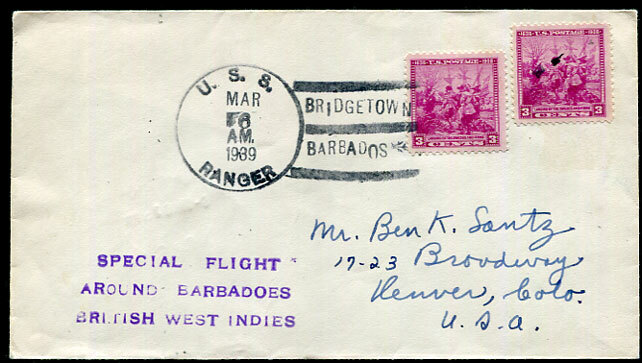 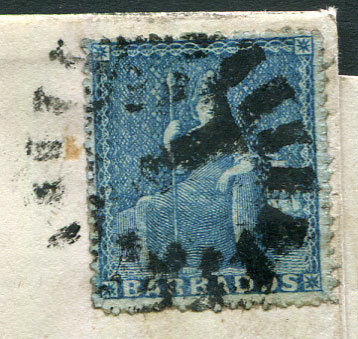 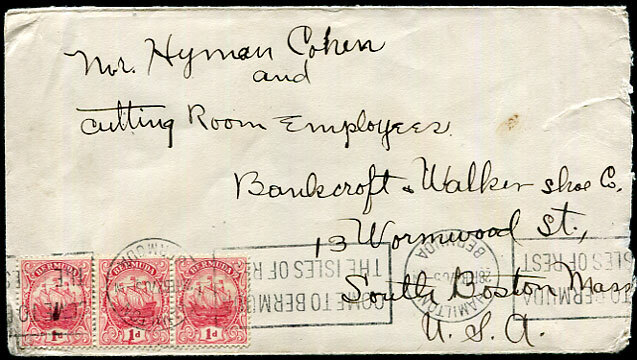 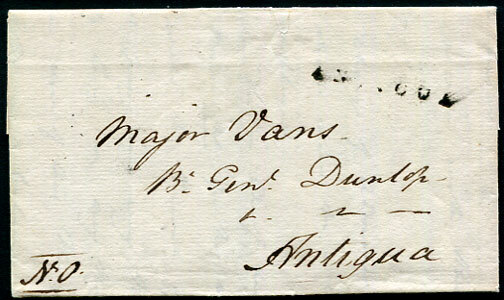 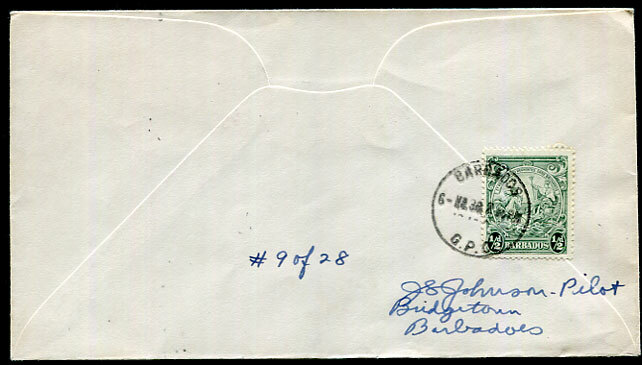 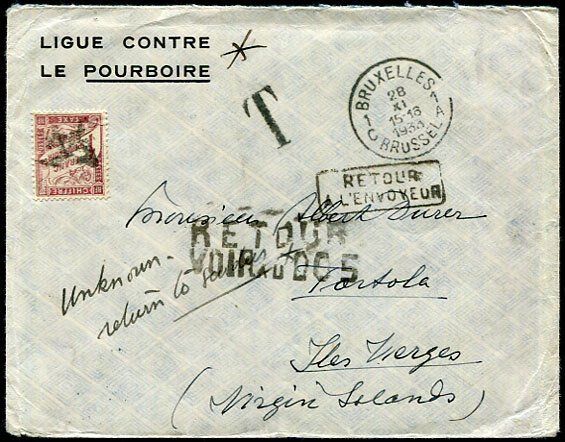 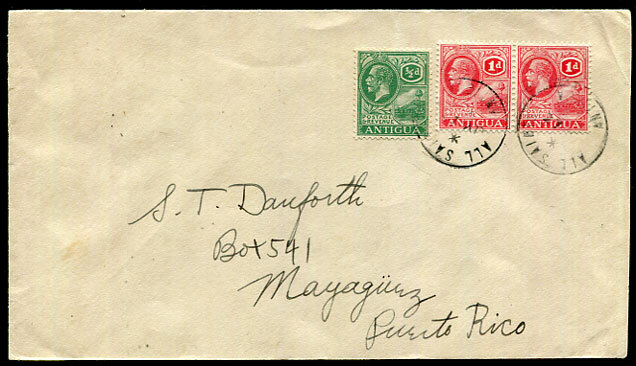 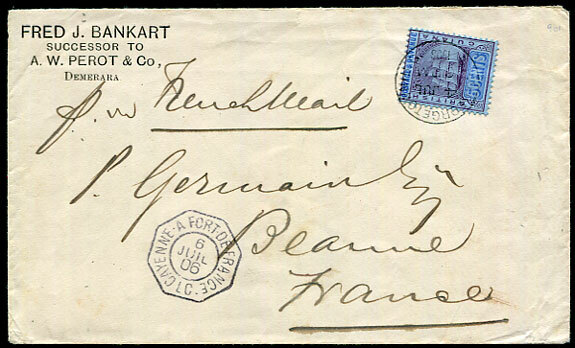 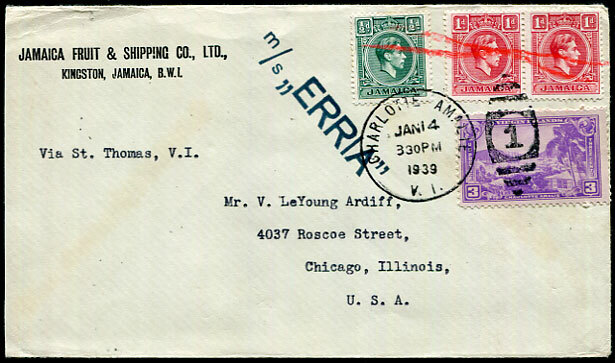 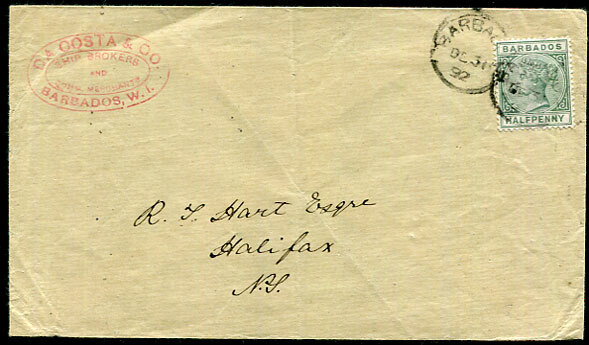 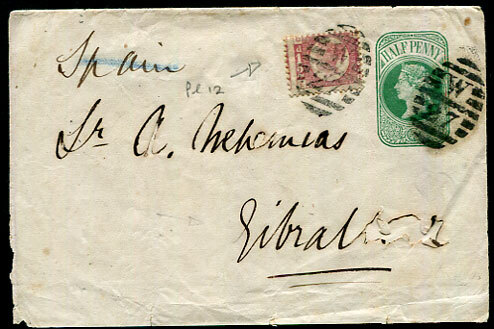 (On Colonial Service) BARBADOS RAILWAY cover with QV 1d rose-carmine pmk'd bootheel duplex dated A/DE 24 84 to Rev. 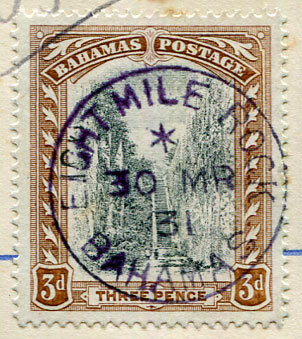 Phillips at St. John with malformed 5/DE 23 84 arrival (M2-R applied St. John with day slug error). 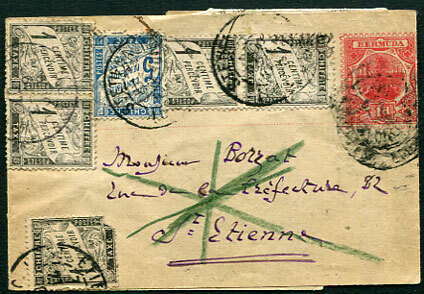 The M2 markings seldom found on cover. 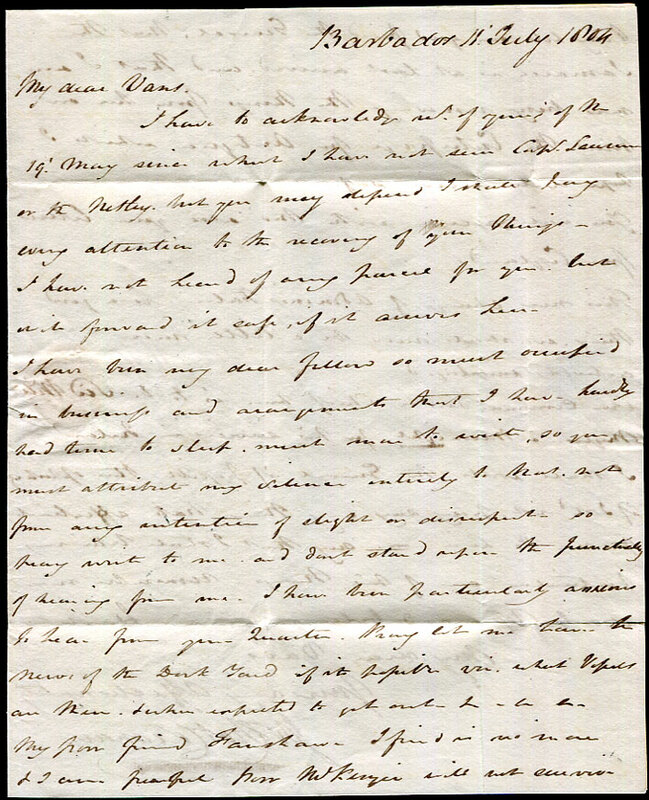 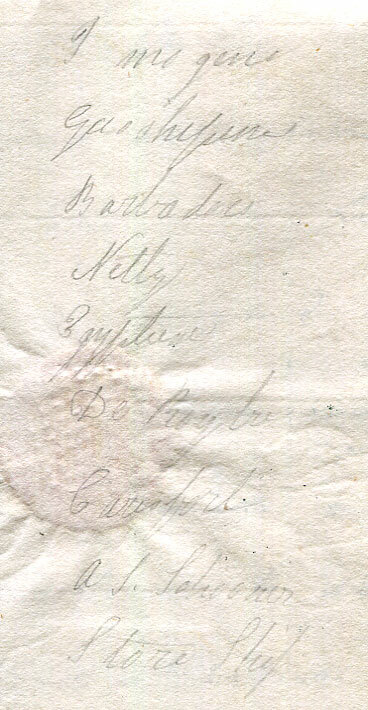 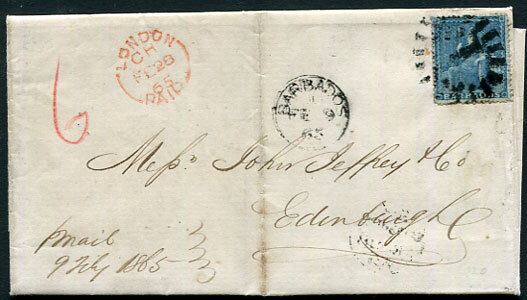 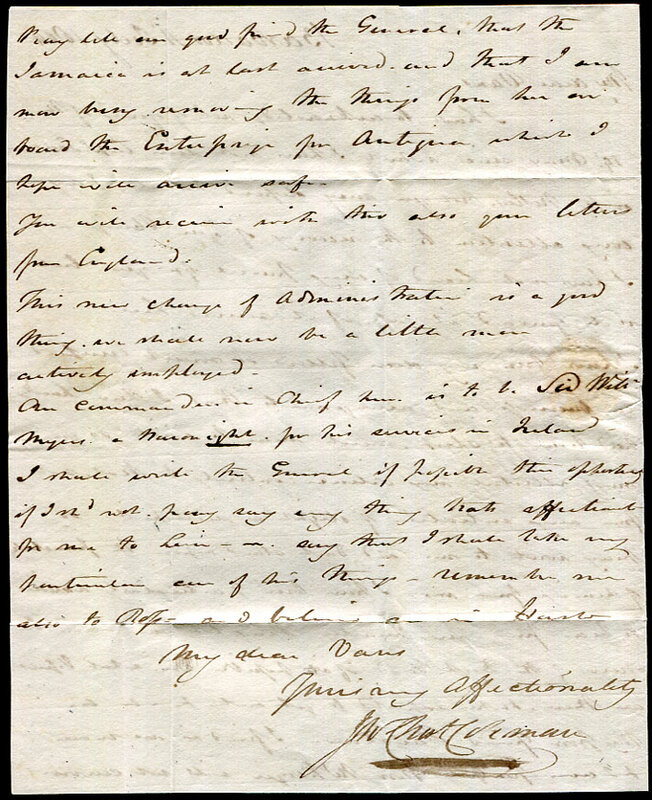 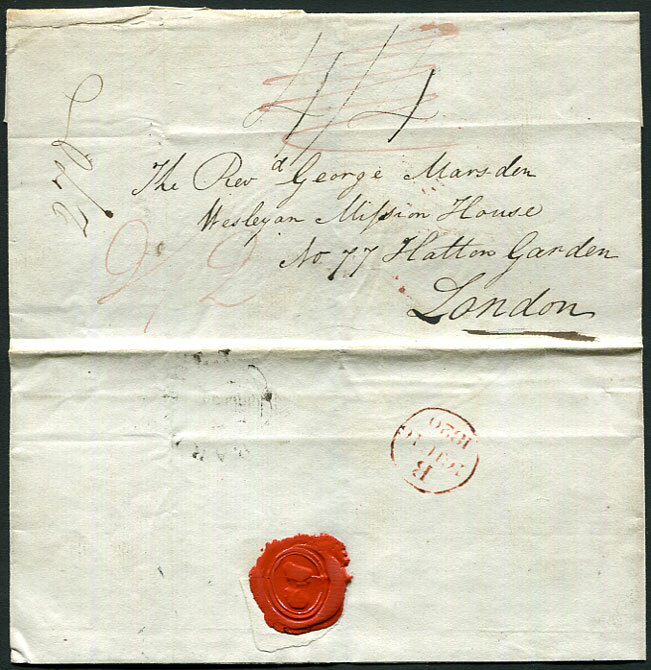 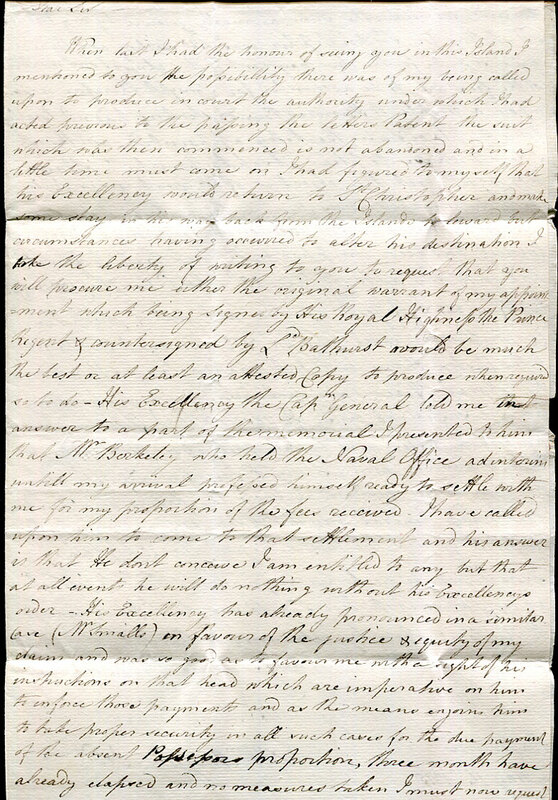 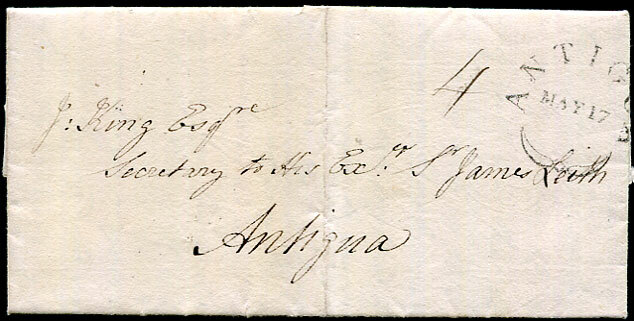 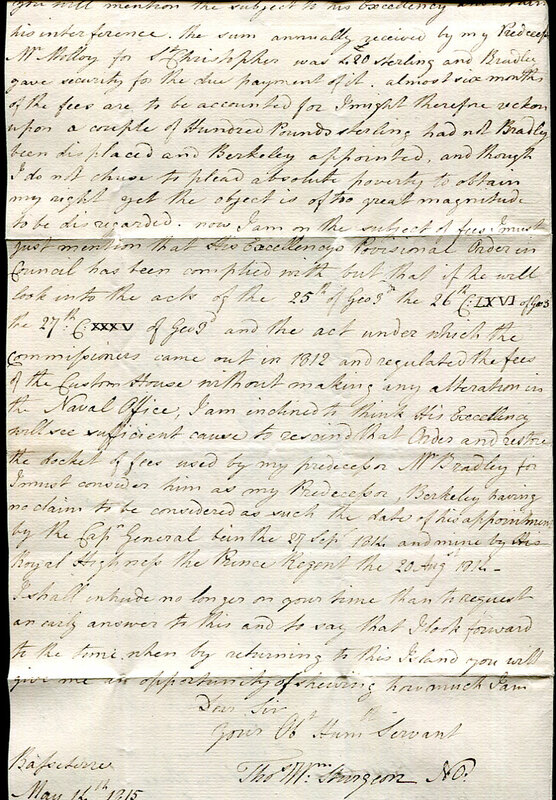 1820 wrapper to the Wesleyan Mission House, London with light BARBADOES fleuron rated black 4/4 (double packet letter unpaid) deleted and appended red 2/2 being a rebate for the amount overcharged, red London JU 16 1820 arrival. 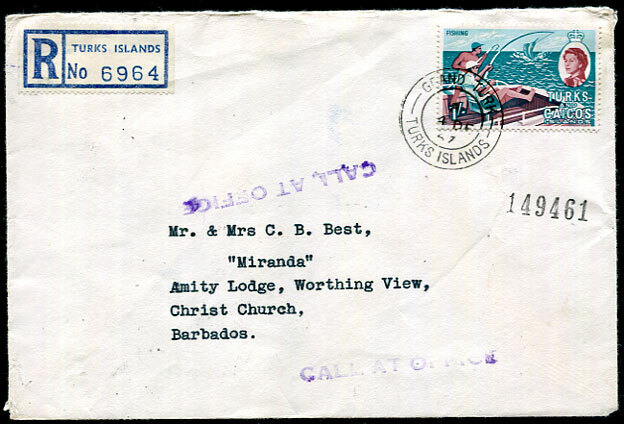 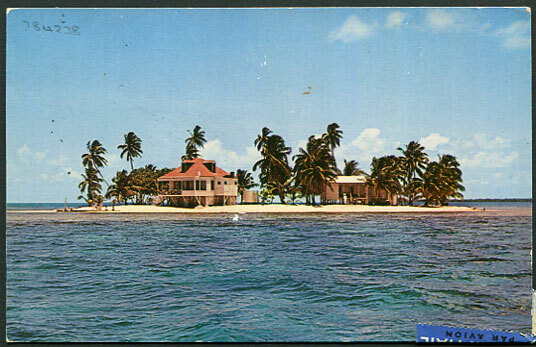 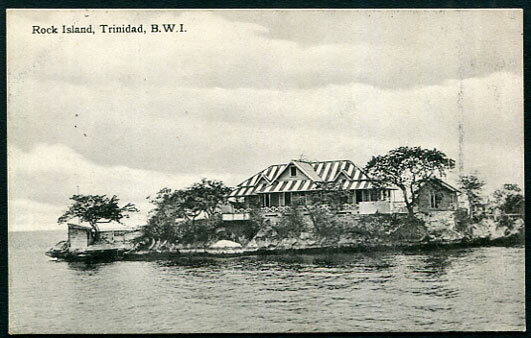 The entire would have been taken back to the Post Office where it was re-assessed as a single rate packet letter and the balance either credited to the account of the receiver or paid back.